Brrrr … Need we say more? An arctic winter blast put Hamtramck into a deep freeze this week. If you are reading this, you survived. Survived, that is, the polar vortex that caused a historic deep freeze for the past few days. Temperature-wise, about minus 14 degrees, with windchills reaching about minus 30. It was so cold it was actually warmer in the South Pole – yes, the South Pole. It was so cold schools statewide canceled classes for most of the week. It was so cold the State of Michigan declared a state of emergency. Even Hamtramck’s City Hall closed, although the first floor of the building was turned into a warming center. It was so cold mail delivery was canceled in 11 states for Wednesday and Thursday. Yes, the folks who we expect to brave any kind of weather just so we can get junk mail and bills decided it was too dangerous to venture out. Notice it doesn’t say anything about arctic blasts of cold that even a penguin would squawk over. And finally, it was so cold, our friend and former Hamtramckan Al Ulman, Jr. – who goes by the stage name of “Al the Only” (he’s an amazing magician) was forced to do the unthinkable for people who live in Hawaii. Al lives on Maui, just so you know the level of suffering he experienced. On a serious note, the metro region got a taste of what was to come starting on Sunday when about five inches of snow fell. Another dumping happened on Monday. The snowstorm claimed one victim here in town. A Botsford St. resident was found lying on the ground and unresponsive, apparently having suffered a heart attack while shoveling. The resident was treated at Detroit Receiving Hospital. At press time Thursday their condition was not known. 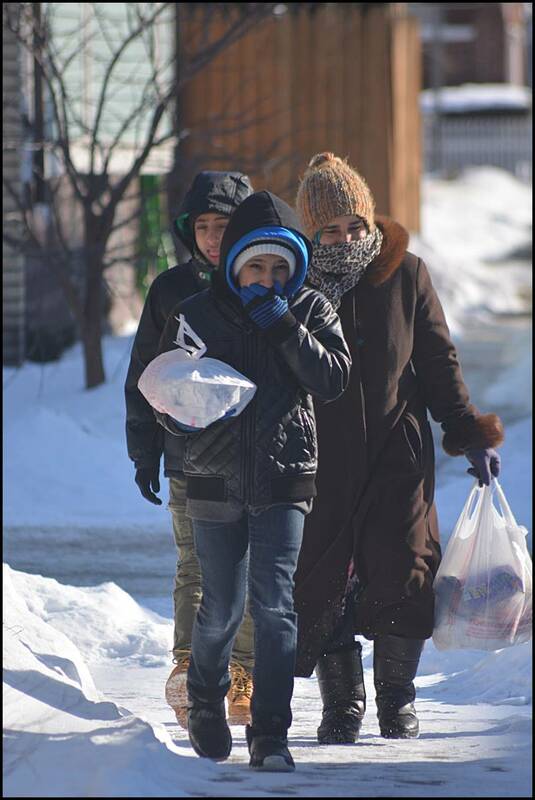 On Wednesday and Thursday, the coldest days of the week, Hamtramck appeared to have shut down. Hardly anyone was out walking and traffic was unusually light. This past week’s arctic blast affected most of the country, especially the Midwest, the South and the East Coast. The worst appears over, and by this Monday it’ll be time to break out your shorts. That’s because it’s going to reach a balmy 45 degrees. And it looks like the “heat wave” will last for a few more days next week. As of today, Friday (Feb. 1) there are just 47 days until the first day of spring.